In Italy and even more pleasantly in Rome is complicated to disentangle between the different types of places to eat. The tavern, often located in places of passage for traders and travelers, with the passing of the centuries, becomes a place frequented mostly by male customers that, along with a glass of wine and chat, not above a certain “company”. Today the inn has lost this connotation and is a meeting place where, albeit accompanied by food, the undisputed protagonist is the good wine. 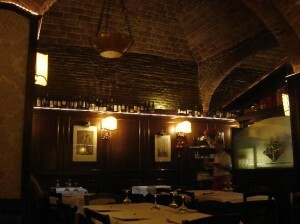 The tavern is one of the Forty restaurant in downtown Rome that maintains the culinary tradition of the tavern once. Book online. The tavern, almost always family-run, is aimed at a popular audience, putting very low prices while offering high standards of quality and care of the dishes. The restaurant has almost always fixed menus of the day, created on the basis of traditional regional recipes. The center of Rome pulpita of pizzerias and restaurants-pizzerias that offer the most varied combinations for tourists and locals. The first pizzeria – according to tradition- born in 1830 a Napoli. Today, especially in the center of Rome, you can find many restaurants that combine traditional recipes with a”a wide selection of pizzas to put d”agreement to every palate”teaching quality and good food.